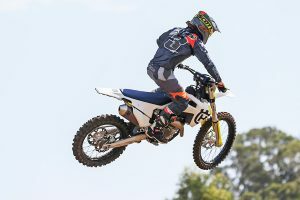 MotoOnline.com.au tests the 2018 MX2 contender from Suzuki. 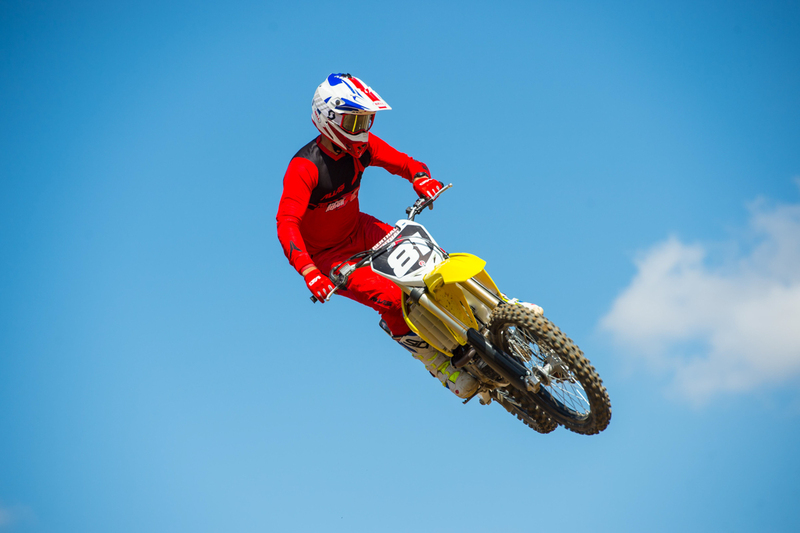 Suzuki has a long history of being successful in the 125/250 class throughout history. From their early years with Mark Barnett and Erik Kehoe to Brian Swink, Guy Cooper and Damon Huffman, Suzuki set the standard in the small class. Their current machine is a little long in the tooth, but it still has the DNA of a title-winning motorcycle. There isn’t a whole lot new for 2018. In fact, there isn’t anything new. The graphics and colours are changed up and, uh, well, that’s about it. 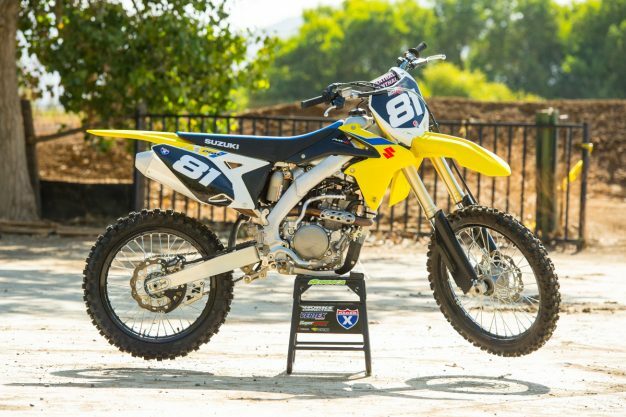 The good news for those Suzuki fans that die a little each year they don’t revamp this motorcycle, there is a big change in the works for 2019, so hang in there. 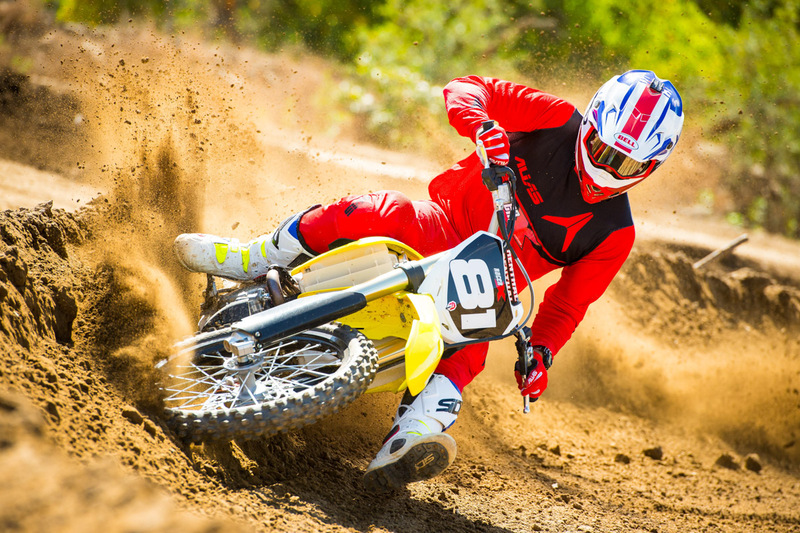 We took our 2018 Suzuki to Milestone MX Park in Riverside, California. This track is mostly flat with plenty of jumps, excellent soil, and choppy ruts through the turns. There aren’t massive braking bumps but plenty of choppy chatter as you enter turns. The course is more or less at sea level and the temperature was a balmy 70 degrees fahrenheit. The good thing about this facility is that there are multiple tracks on sight, so you can ride different tracks and get a better feel for what the bike is doing. The engine on the Suzuki 250 hasn’t had a major revision in some years. It isn’t a bad powerplant but it hasn’t moved forward at all in recent years while the competition has. The engine is responsive and snappy making it fun on a tighter track with short straights. The power builds quickly, pulls strongest through the middle and then begins bouncing off the limiter as you hit higher RPM’s. This is a great bike for beginning riders because the power is very manageable and consistent. 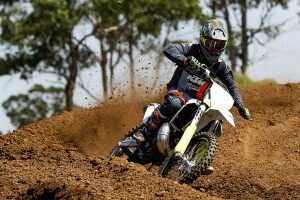 Intermediate and expert level riders will want much more out of the engine. The chassis on the Suzuki is the best part of the bike. This thing corners like its on rails, regardless of the type of turn. 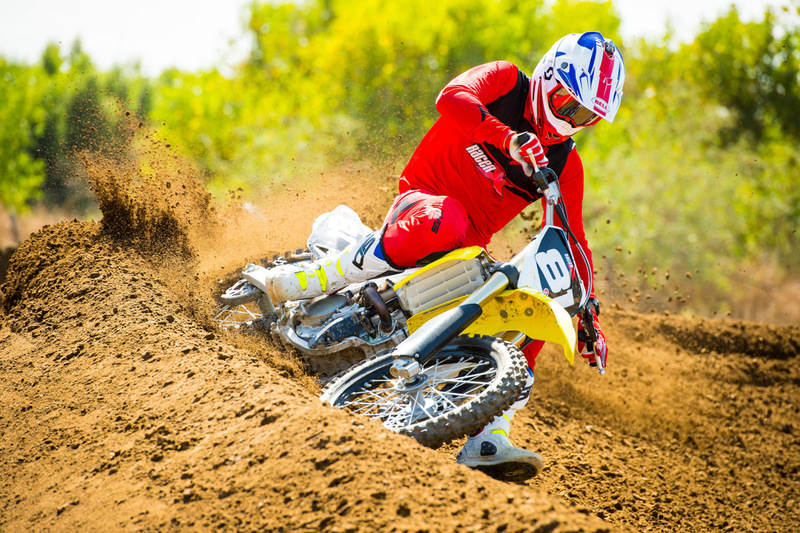 You can dive into ruts and the RMZ leans right in and changes directions easily. 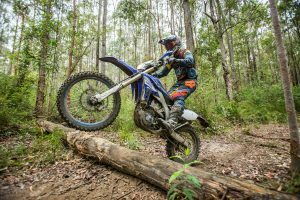 Big, loamy berms are no problem for the Suzuki – just carry some speed into the berm and lay it over. Honestly, this machine will cut down out of turns better than any other bike in the class and trace lines through turns with greater ease than any other bike in the class. The Suzuki is simply the best turning bike made. The Suzuki is also one of the most comfortable bikes to ride. The cockpit blends the right amount of pocket with a perfect peg to seat to handlebar triangle dimension. This bike just feels like home the minute you sit on it. It is also very manoeuvrable in the air. While it certainly isn’t the lightest bike on the market, it feels like it on the track. From mid-air flight adjustments to setting up for landings, the Suzuki is easy to redirect. However, it isn’t all sunshine and roses when you discuss the entire chassis. The shock on the Suzuki is perfectly capable and it works well without too much fuss. The sag works well between 102 and 105 mm and with a couple of clicks to suit it your style you’ll be happy with the rear suspension. The fork, on the other hand, is abysmal. There is an abrupt harshness in the early part of the stroke that is quite difficult to eliminate. If you soften it up with the compression clicker it gets too soft and dives as you enter turns or hit steep jump faces. The real correction is a revalving from a reputable suspension company but that shouldn’t be the case. If I was running things in the Suzuki factory in Japan I would give them the following orders: Put this bike on a diet immediately. A five to eight-pound slim down would bring this bike into a competitive weight range again. The engine needs to be improved for more power, more over-rev and more torque across the board. Also, take the fork on this bike and toss it in the garbage. Find an appropriate spring fork and get it to work with this shock. Leave the chassis alone and don’t change anything about the ergonomics. If the folks at Suzuki follow my advice the 2019 version of the 2019 Suzuki would be the bike to purchase next year.